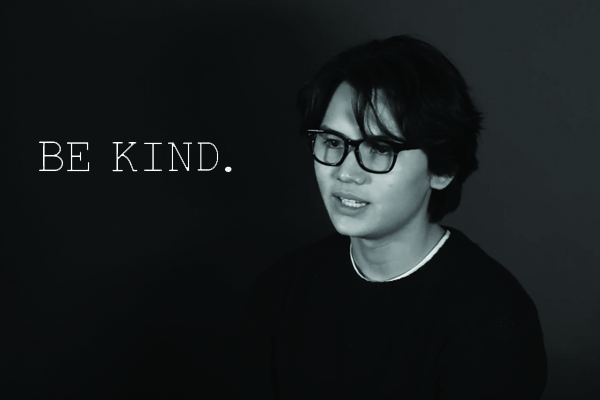 That’s the seemingly simple, yet profound message behind the Winter Project, “Talking Kindness,” created by Ben Yoon ’20, Henry Daniel ’20, and Joe Webber ’18. Inspired by Choate Rosemary Hall’s “Find a Different Word” campaign from 2013, Yoon, Daniel, and Webber set out to produce a public service announcement video. Their first step: choosing the topic. “Talking Kindness” presents a series of interviews with Trinity-Pawling students and faculty on the concept of kindness and its significance in our community and world. The video calls attention to the power of kindness and how its presence—no matter what form—can truly make the world a better place. For Yoon, Daniel, and Webber, “Talking Kindness” fulfills its purpose in spreading the one inspiring message that needs to be heard: just be kind. Because it really is that simple. Research shows that the most important school-based factor impacting a child’s academic success is the quality of the classroom teacher, followed closely by the strength of the school leader. Taylor emphasizes the importance of helping teachers improve their methods through a commitment to professional growth and development. “Our newly created teaching excellence instrument is an evaluation process designed to help teachers focus on certain key areas of excellent teaching, such as communication, preparation, and collaboration,” explains Taylor. It is said that nearly half of individuals who begin a career in teaching leave the profession within the first five years. Taylor believes the best way to motivate and retain good teachers is emphasizing that effective teachers are effective because they are effective students. “Good teaching comes from good learning and teachers must find time for their own professional growth. This can be demanding in a boarding school environment.” Taylor knows the importance of having a strong mentoring program for new teachers so that they can work with seasoned teachers in an informal way to learn more about teaching and about the school environment. “I have had several mentors who have helped shape and guide my personal and professional life. I count myself fortunate to have had the opportunity to work with two Headmaster Smiths at Trinity-Pawling,” Taylor recalls. “New teachers need encouragement and patience if they are to learn and grow as professionals,” continues Taylor. Taylor asks every candidate to describe a teacher who made a positive impact on them as a student. “In my experience, those who have had teachers as mentors, will in turn make a meaningful impact in the lives of their students,” shares Taylor. “I look for illustrations that point to how a teacher will work to develop positive relationships with students. Beyond that, I look for examples of resiliency, continuity, preparation, and a sense of humor,” says Taylor. 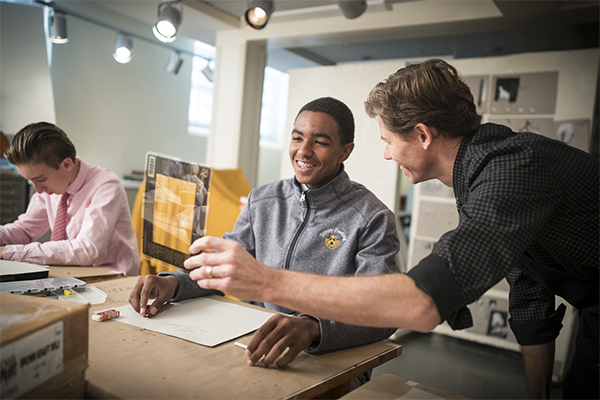 Trinity-Pawling boasts twenty faculty & staff members who have worked at the School for over fifteen years. Seasoned teachers shape the culture of the School by being effective mentors and being student-centered.​ Their positive, forward-oriented attitude is invaluable, especially when facing challenges. Taylor aims to empower teachers to become leaders by giving them the freedom to grow and develop as professionals. “By creating a committee-based approach, faculty have the opportunity to promote growth for the School and for themselves as professionals. They have more of a voice toward School development through the work of committees. I also encourage teachers, like students, to take healthy risks,” explains Taylor. Taylor often discusses the importance of developing a growth mindset. Keeping the faculty exposed to new ideas and methodologies allows teachers to learn new approaches to pedagogy, and helps them set goals for their own growth each year. “Former Headmaster Phil Smith took a risk in hiring me. I had never taught before. I was a graduate of public school, not prep school. Aside from a ten-month jaunt selling shirts at Macy’s before graduate school, I was not career tested. I was therefore grateful when he called me in the spring of 1988 and offered me a job to teach history. I honor the Headmaster who launched my career,” concludes Taylor. To be surrounded by the energy of greatness is a remarkable thing. It is even more significant when that energy is from centuries long gone and countries far-stretched. This is the environment David Neligan ’75 finds himself in on a daily basis. 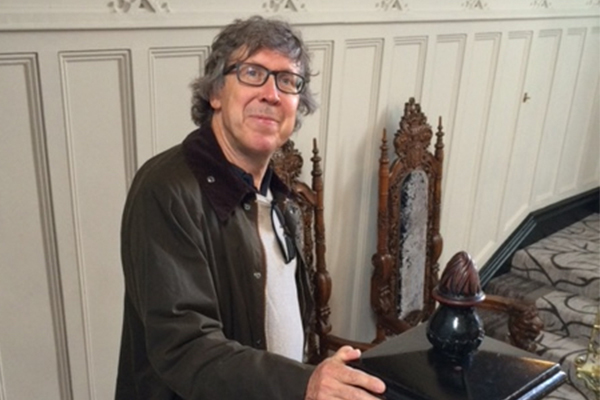 David is the founder and owner of David Neligan Antiques, a business that has been in existence for over 25 years. Located in Essex, MA, the Boston Design Center, and Stamford, CT, the shops house distinctive and high-quality furniture, accessories, and art—many of the pieces are from 17th-19th century England and Europe. “I am very careful in my selection process,” states David. “Each piece has a history—a story. It’s what sets my business apart from others.” Certainly, there are some wonderful stories filling his shops! Nestled in the back of the store in Essex sits a table from Windsor Castle (the branded stamp on its underside states the room in which the piece was housed) and a pair of chairs from Mid-18th Century Venice, the size and scale of which are indicative of the wealth of their owners—the Fogg family of Chestnut Hill, MA. These beauties were in the Fogg’s Coconut Grove home for 75 years before David acquired them. Near the staircase of the shop is a George III Japanned tall-case clock from the estate of JP Morgan, once housed in Mr. Morgan’s home in Glen Cove, NY. David collected the piece from an heir of the Industrial-era giant. “The business has changed so much over the years, especially with the advent of the internet. People are not strolling through shops anymore, but are looking very specifically for their perfect pieces online. We’ve adapted accordingly. It’s a very time-intensive process to photograph each of our items, from multiple angles, but it is certainly worth it when clients find just what they were looking for,” David comments. If you’re in the area, be sure to check out some of the wonderful pieces (and stories!) David has in his collection. You can visit him in Massachusetts or Connecticut, or online. 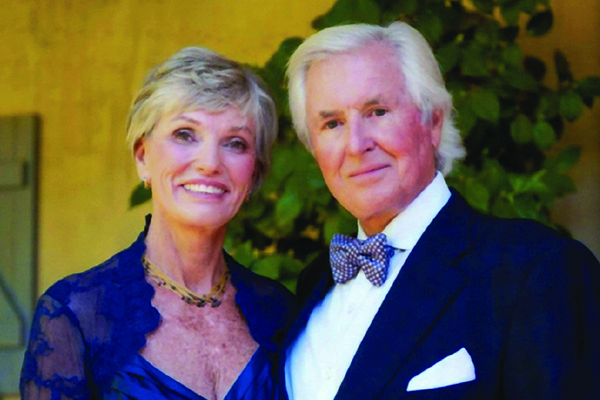 “You could say it’s a family thing,” began Ken Weeman ’59, P’91. Weeman’s family legacy at Trinity-Pawling stretches back to the 1920s, when his uncle, Gordon ’28, and his father, Kenneth Sr. ’29, were members of the brotherhood. Exactly 30 years after his father, Weeman walked the stage at Trinity-Pawling’s graduation. Not long after that, his brother Fred ’63, and his son Carter ’91, did the same. “We’ve been associated with the school for a long time,” Weeman shared. “It’s a bit of a family tradition.” And it’s been rumored, Weeman said with a smile, that his nine-year-old grandson has been seen getting on the school bus with a T-P backpack. Trinity-Pawling partners with St. Paul’s College, an all-boys secondary school in Hong Kong, in what is known as the Educational Exchange. This program has been running since 2010 and has created lasting memories, friendships, and learning experiences for all of those involved. Last year, our School hosted six students and two faculty members from Hong Kong and they explored all that New York and the Hudson Valley have to offer. Our visitors also enjoyed a wonderful on-campus experience. This year it is Trinity-Pawling’s turn to travel to Hong Kong and have an experience of a lifetime! 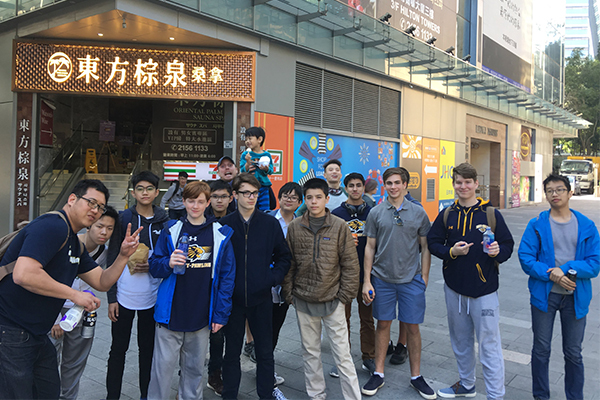 During the spring break this month, a group of Trinity-Pawling students and faculty are spending a week exploring Hong Kong. The boys are enjoying the food, bright lights, and entertainment of the city, as well as participating in the unique opportunity of living with a host family and visiting St. Paul’s College in Hong Kong. You can follow the group’s travel blog here. 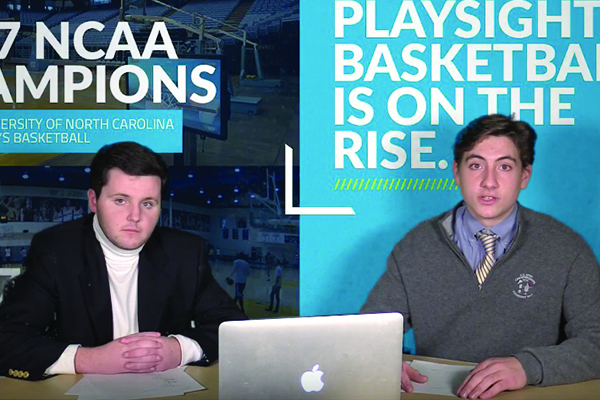 Did you miss the latest episode of T-P Sports Nation? Check it out here! The Trinity-Pawling baseball team enters the 2018 season looking to build on the success it had during their 2016 and 2017 campaigns. Training began for the Pride during the off–season this year, as players were able to take advantage of Trinity-Pawling’s winter Strength and Conditioning Program and the new indoor resources offered by the Smith Field House. The Pride kicked off the season this month making its fourth annual trip to Fort Pierce, Florida to train with the Florida Coast Spring Training Organization. A total of 22 players and 3 coaches enjoyed 6 straight baseball-filled days, highlighted by 6 non-league pre-season games against Dexter School, Phillips/Andover Academy, Gunnery School, and three Canadian teams. The Pride returns several varsity players to the diamond this season including Connor Bastidas ’18 (P/IF), CJ McCarthy ’18 (OF), Nate Tanner ’18, (C/IF), Cam Woodin ’18 (IF/OF), AJ Bella ’18 (1B/OF), Matt Dow ’19 (OF/IF), Will Rickert ’19 (P/IF) and Trejyn Fletcher ’20 (OF/IF). The returning group is bolstered this year by several new Pride members including seniors/PG’s Jaz Burton (1B/OF), Alex Kohlhagen (P/3B), Marc Maestri (P/1B), Ryan Smith (P/OF) and junior Jesnel Soto (IF). The Pride will play in the competitive Founders and Colonial Leagues, which include college prep schools throughout western New England. 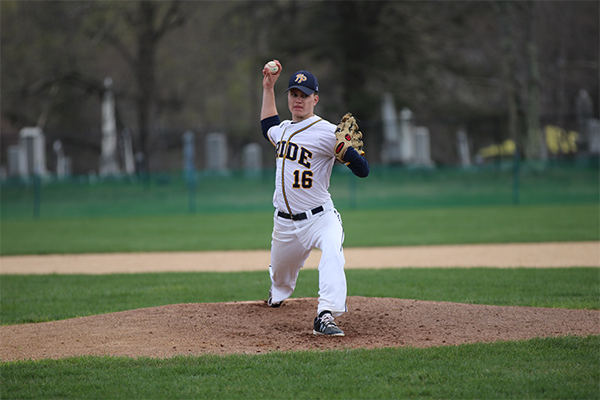 The Pride’s baseball coaching staff includes Mike Webber P’17, P’18, Josh Collins ’95, and Ralph Fedele ’04. 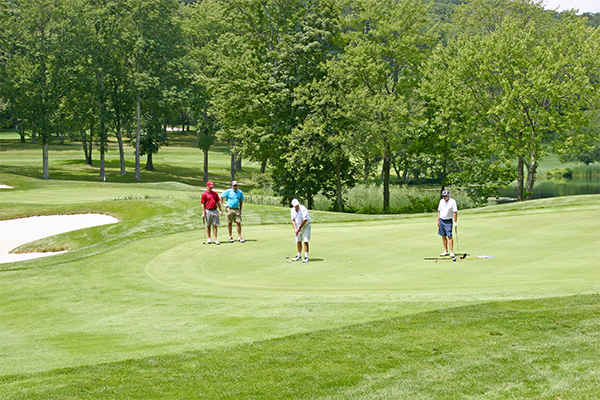 The Trinity-Pawling golf team boasts a solid core with three returning varsity players this season. Max Levine ’20, Kyle Miller ’18, and Jack Kong ’18 lead the way for the Pride, as they continue to build on their success from last season. The golf team has expanded with the addition of several new golfers advancing from the JV level, who are working to improve their skills and represent the Pride well. While the team is relatively young, they aim to work hard, perform well, and attain both individual and team goals. A trip to Orlando, FL this month kicks off the 2018 season, where varsity hopefuls engage in a week of practice, team building, and leadership training. This year’s senior-led team will provide a good foundation for teamwork and collaboration as they lead from the front and help many new faces acclimate to the competitive Founders League play. Seniors Marc Welch and Will DePalma assume the reins as captains—they aim to bring the boys together quickly, and have set the bar high. Returners will step up and build off their momentum of last year, with Scott Stensrud ’19 playing the LSM position, as well as Ryan McBeth ’19 at the midfield position. With eight committed players, the Pride will represent the School well. Many new additions and rising underclassmen add to the team’s competitive spirit—striving for a successful season. First year Coach Kraig Odabasian starts the 2018 tennis season with five returning players in the squad. William Yau ’18, Charlie Duggan ’18, Pablo Salvo Moreno ’18, Andrew Zhang ’20, and Jake Pong ’18 each bring at least one year of experience to the courts this spring to compete in the competitive Founders League. The new tennis courts continue to offer players the premier tennis facility in the League. The Pride will continue to challenge themselves against some of the best high school track & field programs in the country. With a strong core and many new athletes, the team will build upon last year’s success. The distance squad will capitalize on the momentum of a successful cross country season. There are many key contributors this season, including returning coaches Knox Sutterfield, Jim McDougal, and Kevin Richards, who give individual attention as they assist with the personal growth of each athlete across 17 events. Laugh with teachers at nightly family-style dinners. The Trinity-Pawling community comes alive in these moments of tradition and innovation . . . and your support CREATES the environment where they flourish. Please consider a donation today. Every gift has a profound impact on our students and all of campus. You can direct your support to the area of the School that means the most to you. Discover giving options online. 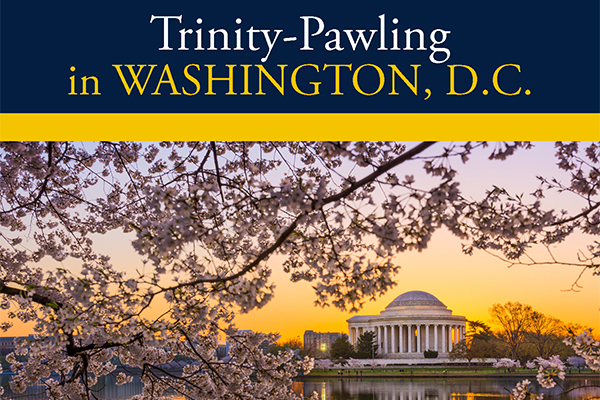 Alumni, parents, and friends are invited to join Headmaster Bill Taylor and Jennifer Taylor for a reception celebrating the progress of Trinity-Pawling School! The University Club in Washington, D.C. Questions? Call Janet Hubbard at 845-855-4830. The boys have left for their well-deserved March break and the halls of Cluett are eerily quiet! The strange silence makes us realize what we’re missing, and what this School is all about – its community. 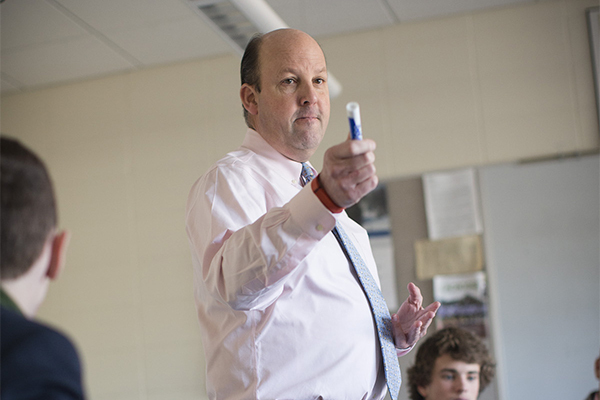 You as alumni, parents, our students, and faculty are the heartbeat of Trinity-Pawling. Your collective energy, creativity, and interests bring the School to life and reflect its values to the world each and every day, and for that, we are very grateful. Alumni and parents, you have a wonderful opportunity next month to help support that exact vitality which makes Trinity-Pawling so unique. 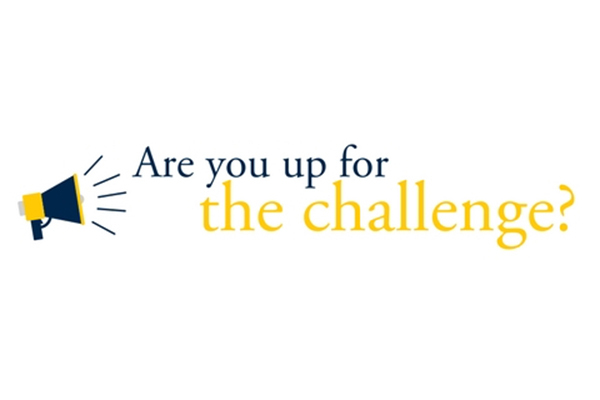 We’re gearing up for our annual giving challenge in April and would love your help in rallying others to participate! It’s really easy and won’t require too much of your time! We’ll send you a packet of materials (and swag) to aid your efforts. You can make a huge difference for the School! Glory of the chase to lead the School to victory! Did we mention SWAG? It’s brand new…be the first to get it! Click here to join in the fun – we’d be so very grateful for your efforts on behalf of Trinity-Pawling School! Thank you!